Want to try your hand at wax worms? This guide will provide the information you need to start breeding these reptile treats. 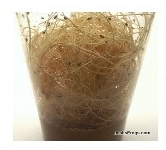 Learn how to start and maintain a colony of meal worms. A comprehensive guide to breeding this feeder. Learn how to breed your own crickets. Short guide to culturing Springtails with a link for where to purchase culturing supplies. Sprintails are extremely small feeders that are commonly fed to dart frogs. Josh's Frogs comprehensive guide to culturing fruit flies. They have many how-to projects on their website. Step-by-step guides to making your own roach chow, and links to alternate recipes and techniques. This is a simple guide for the beginner to understand how to start and maintain a new colony. Online source for egg crates or egg flats to be used in your feeder colonies. We use these for roach colonies to breed and hide inside, and also for superworm storage. Another great resource for egg crates. Using fresh crates will reduce chances of disease or other complications. Clay Davenport has a simple and safe way to wire Flexwatt heat tape for keeping your feeder colonies at the proper temperature. This tutorial has excellent pictures and instructions. Please use extreme caution when installing and using heat tape. Be aware that the use of a thermostat is not only recommended, it is vital. Clay Davenport explains and demonstrates what can happen with a heat tape malfunction. The tape in question here registered 192*F after the malfunction. Ultratherm Heat Pads are a safe way to heat your feeder colonies. Another great site for Ultratherm heat pads. Many use water crystals to hydrate their feeder insects. These are available from many feeder companies. To make a gallon of water crystals combine 1 oz of dry water crystals and 1 gallon of water, and let sit for 24 hours. This will keep in either a sterilized container or a zip-lock gallon bag. Be sure to NOT let these go down your drain, as it can cause a clog. Repashy article discussing the formulation of Bug Burger product with lower protein and the suspected relationship between high protein roach chows to gout in captive reptiles.